Simon Gane, magnificent draftsman of monsters, models and monumental French scenery, presents us with a beautifully rendered puzzle. 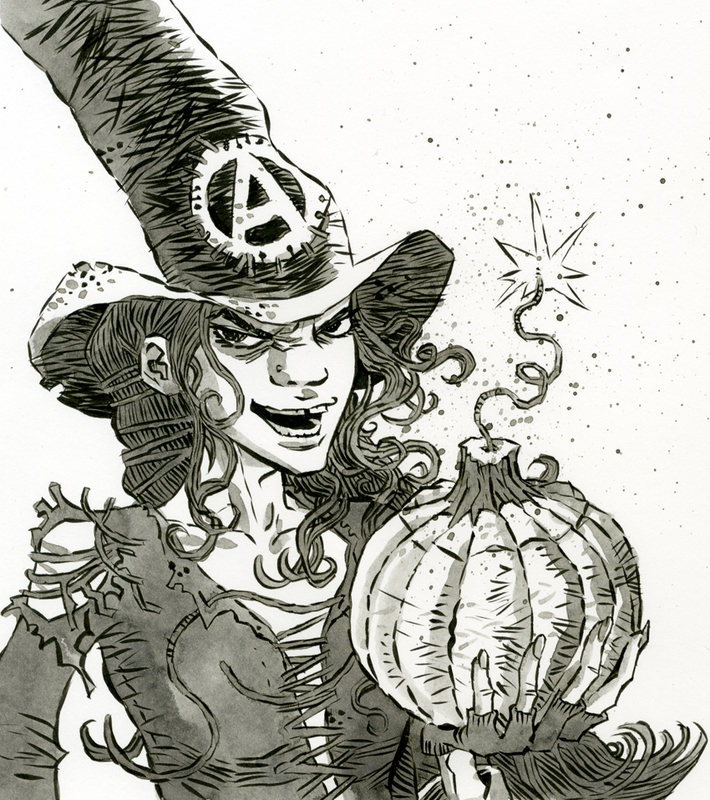 This lady is a witch all right, but her pumpkin is a bomb! So is that a vote for Hallowe’en or a tick in the Bonfire Night box? Simon says: stupid question. See that ‘A’ on her hat? Anarchists reject your simplistic definitions, they just like to blow things up! BOOM!